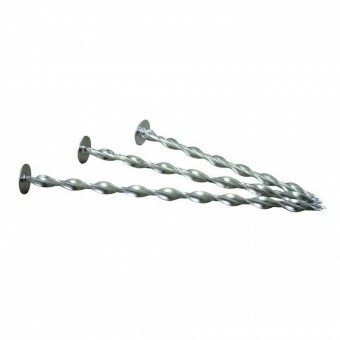 A 20mm Headed Twist Nail for fixing composite panels to wooden battens. No drilling, and no need for screws. Quick installation. Unlike a nail, rotates whilst being driven in, eliminating the risk of splitting timber. Unique one-piece stress free fixing. Improved design to prevent bending during installation. Range suitable for current and future insulation thicknesses. Minimal compression of insulation. Improved thermal bridging. No other product on the market for the same application. Approved by the major insulation suppliers. 8.8 High Tensile Steel, Zinc Plated and Passivated. Hammer driven.